Hello! I wanted to play along with the current YNS Sketch Challenge #86. 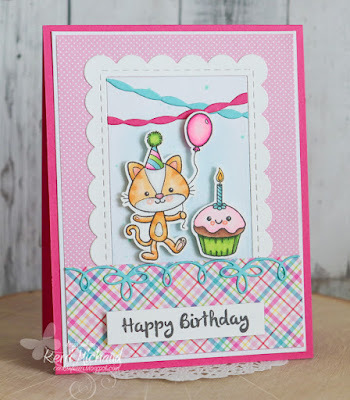 I decided to pull out this adorable Party Animals Stamp Set and used the sweet kitty and cupcake images from the set. I colored my images with Copic Markers and cut them out with my ScanNCut 2. The frame was cut with a Taylored Expressions Frame in Frame 2 Die and the streamers were cut with a TE Skinny Mini Party Borders Die. 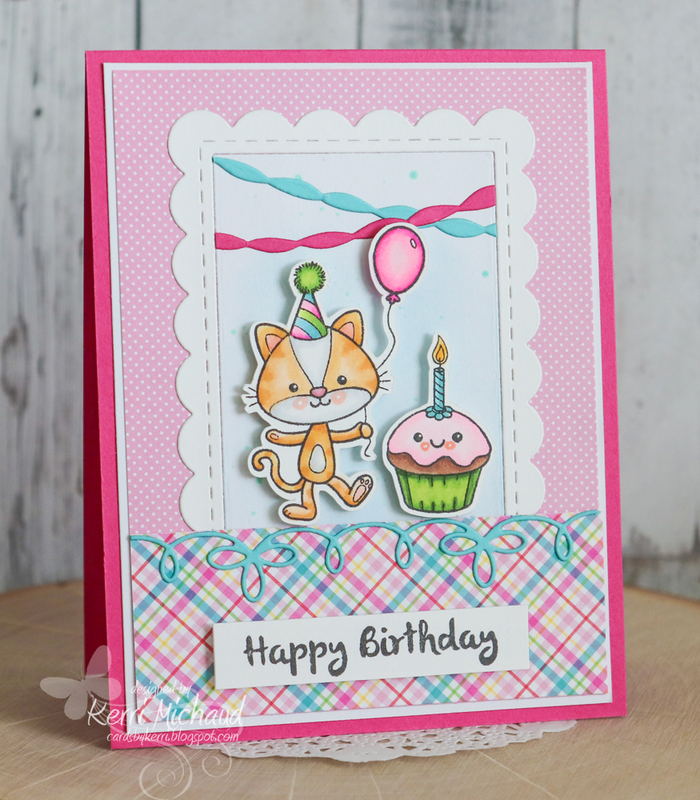 I added the bottom border using the Your Next Stamp Fancy Loop Die. So super cute! Thanks for stopping by today! This is one of my favorite YNS sets! I love your coloring and the garland! 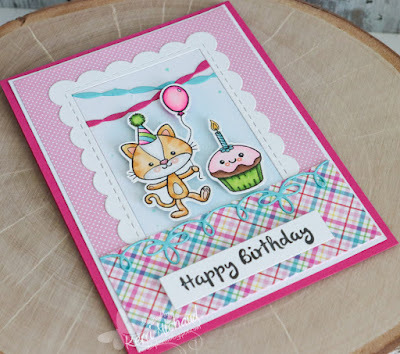 Thank you for joining us at YNS Challenge 86!